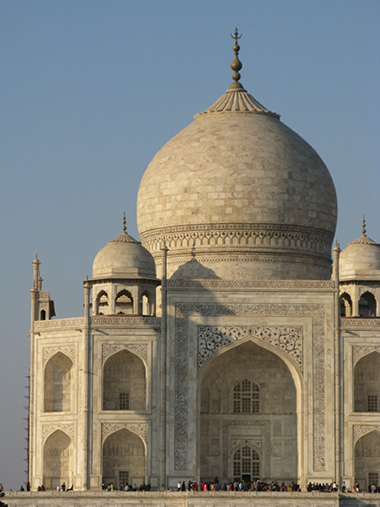 This fantastic tour gives you an ideal introduction into India’s incredible cultural and historical splendour. Arrive into Delhi, India’s fascinating capital before heading to Agra which was once the heart of the Mogul Empire to see the iconic Taj Mahal. From Agra come down to Jaipur, the Pink City Capital of the largely desert state of Rajasthan. Your private car and driver, along with our knowledgable guides will introduce each city and it’s sights to you. Highlights include a private rickshaw ride through the bustling Chandi Chowk bazaar in Old Delhi, an escorted visit to the Taj Mahal at sunset and sunrise, a personal shopping tour of Jaipur’s wonderful maze of boutiques and bazaars and finally a private elephant safari in the hills surrounding Jaipur’s Amber Fort. The hotels we have chosen for this trip are some of our favourite in a mid-range price bracket. We love India’s wealth of heritage, boutique and luxury hotels and will discuss each of the options with you in detail to ensure that you stay in exactly the right hotel to suit you.